Hold on to your seats and get ready to laugh your heart out as the amazingly entertaining Dr. Kumar Vishwas is all set to perform Live in Hyderabad this March 22, 2015 at the Sri Sathya Sai Nigamagamam, Srinagar Colony, Hyderabad from 6:00 pm to 9:00 pm. Renowned for his rib-tickling sense of humor, this versatile artiste is also a celebrated Hindi-language poet and an Indian politician and on the National Executive of Aam Aadmi Party. Humor is best served with wine, but the performance by Dr. Kumar Vishwas would be so intoxicating that you would forget the need to sip wine. 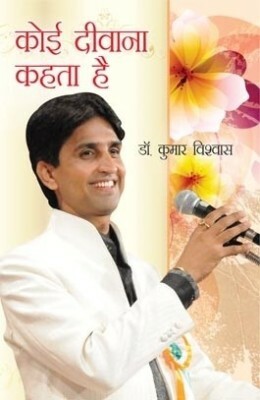 Dr. Kumar Vishwas started his career as a professor way back in 1994 in Rajasthan and has been instrumental in training numerous students in Hindi Literature to higher class students at Lajpat Rai Post-Graduate College for the last 16 years. Dr. Kumar Vishwas has been actively performing regularly at Kavi Sammelan both in India and abroad, which also includes reputed venues like the IIT Roorkee, Jamia Millia Islamia, New Delhi, MNNIT Allahabad, NIT Patna, IIM Lucknow, NIT Jalandhar NIT Trichy and BITS, Pilani. Vishwas has participated in poetry recitations and functions abroad including the USA, Dubai, Singapore, and Japan as well and has been successful in entertaining people from all walks of life. So, here is your chance to get entertained by the most celebrated Hindi poet, stand-up comedian and representative of the people as he performs live in Hyderabad. Make sure you are there at the Sri Sathya Sai Nigamagamam from 6:00 pm to 9:00 pm on March 22, 2015 to have a hearty laugh and forget your sorrows. Laughter is the best medicine, so gift yourself the best and book passes for this event now.